Teaching Writing: Balancing Process Writing and Demand Writing. Teaching writing is hard. REALLY hard. As many of us are starting to get ready to go back to school, we have lots of "structures" and procedures to think about. Some of us use published writing programs, others have district curriculum documents to follow, and still others are out there on our own! There are so many components to teaching writing--from dealing with students who have fine motor issues to difficulties coming up with ideas to challenges getting ideas on paper to spelling to organization to...I'll stop. You teach. You get it. For many years, we have worked to develop writers who can plan, draft, revise, share with peers, respond to feedback, and create final products. Unfortunately, when it comes time to evaluate where each and every writer is, I struggle to give good information to students and parents when the writing has been "touched" and coached by so many hands. 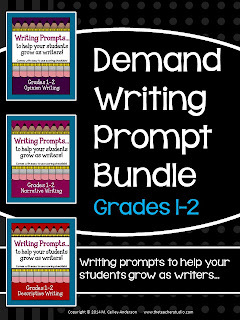 By far one of the biggest “difference makers” for me as a “teacher of writers” has been my use of demand prompts to guide instruction. 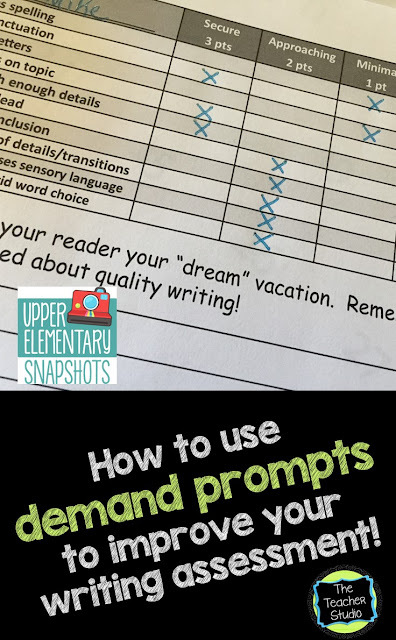 In my class, we have a balance of free writing, process writing, and demand writing—but for me, the most effective way to ASSESS students is to do a regular demand prompt to see how students are doing on the targets we have worked on all year. Process writing is critical in the classroom, but as students work together, confer, share, revise, and so on—it becomes difficult to know what they can do independently. 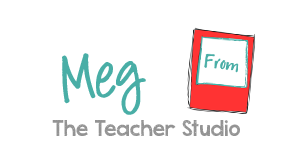 I really feel it is the most efficient, effective, and stress-free way to measure student growth and to see what areas I need to provide additional instruction—to individual students, small focus groups, or the entire class. 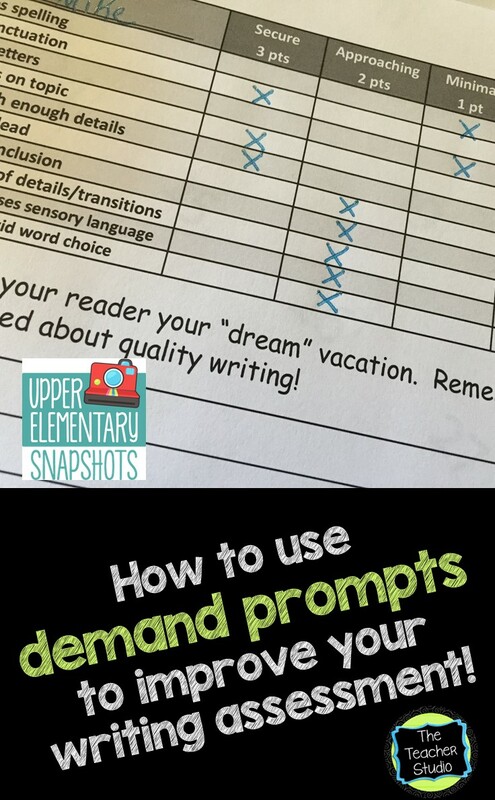 My method is simple: Each prompt is graded using the exact same checklist at the top. I try to keep my checklist the same no matter which genre I use (descriptive, opinion, narrative) which allows me to measure student growth ALL year. I try to give one demand prompt per month or, at least, 2 per quarter to help me make sound instructional decisions and to watch for student growth. I keep all demand prompts in files for the students and share progress at parent teacher conferences. Parents and students are WOWED by how much growth is made from beginning to end! I also make copies of some (no names!) to use as mentor texts in following years. *Students are given a sheet of paper to use for planning if they wish. Planning is not graded. *Students are given 35 minutes of writing time to complete the task. At 30 minutes I give them a 5 minute warning to wrap up their writing or to go back and “make it their best”. Use your judgment about time based on the attention and stamina of your students. 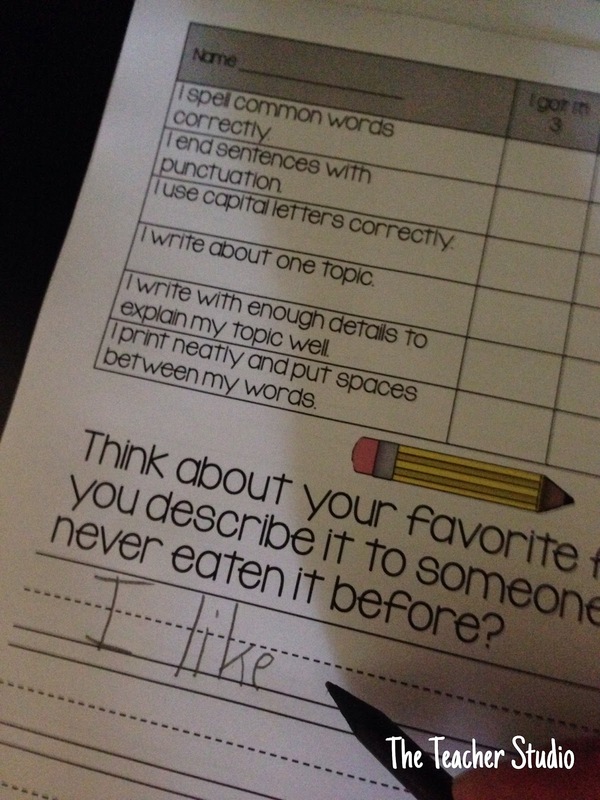 *I collect their work and evaluate it based on the checklist. Do NOT spend huge amounts of time fretting about whether to give certain scores. The purpose is to collect information about what students still need more experiences with! Give students a “3” if you feel their skills meet your grade level expectations. I can score a class set in 60-90 minutes. *Our team of teachers will often bring a few samples of these to team times to compare notes and see if teachers are on the same page for assessing grade level standards. This is great staff development! *My checklists are tied not to a specific set of standards--but to what teachers have told me are the CRITICAL writing skills they want to be looking for. So as you begin to think about your year of writing and how you assess it, consider WHAT you are grading. Are you grading final copies? Drafts? Demand prompts? There is no right answer, but be deliberate. I love to grade project that go through the process with an overall "writing process" grade--but tend to grade drafts and demand writing when wanting to know exactly what my writers can do on their own. I really try to remember that my goal as a teacher is really to see what areas my students need to focus on, where my class as a whole needs more instruction, and how to budget my time when I do my lesson planning. After all, we assess to get information--and the next steps are to USE that information to help us better reach our students. Because of that, we need to make sure we are collecting good, useful information. I have been making different sets of prompts for intermediate students (I have sets by genre, by season, and so on) but I have had many primary teachers ask me to make an adaptation for younger students—and here are a few. If you are interested in seeing more, just visit my store and click the category "writing prompts"! 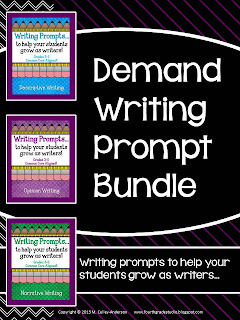 This is my newest demand prompt resource which is really geared toward quick, 8 minute writing prompts to get a fast glimpse at how your students are doing with some key, foundation writing skills. 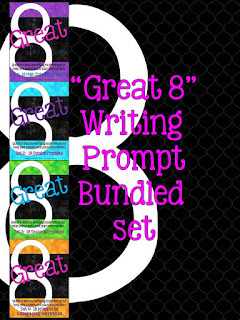 This set of prompts is perfect for primary grades and for special education..